After getting my first hands-on taste of Kingdom Hearts 3, I walked away from last week's demo with a couple of questions. Last week, Shacknews was among the outlets with the first opportunity to go hands-on with Kingdom Hearts 3 for the first time. It was a long time coming. It was a very long time coming. And the demo certainly did not disappoint, showing off many of Sora's classic abilities, as well as some new tricks. 1. Are Other Bosses the Same Scale as the Rock Titan? The demo on Mount Olympus was brief, but properly showed off one thing. The boss fight against Lythos the Rock Titan was massive. This was a multi-phase battle, mainly showing off the new autorun mechanic that allows him to run up walls and cliffs. The Titan himself was so big that a chunk of the battle involved hacking away at his feet and getting him down to a more manageable level. Getting up to the Titan's head was quite the experience in itself. So my first question after completing this boss battle is whether any of the other boss battles in this game will be along this same scale? Part of this ultimately depends on the worlds that Square Enix and Disney select for this game. Certain worlds allow for bigger enemies, not necessarily from their source materials, but also from the different variety of Heartless inhabiting those worlds. But Kingdom Hearts is certainly no stranger to giant bosses, dating all the way back to the first game. Think back to Ursula, the Chernabog, and some of the bigger Heartless. But from the looks of KH3, the bigger bosses may have a little more creatively designed. That's certainly the hope, but I'd love to see some more clues regarding how the boss fights will look. 2. How Omnipresent are the Multiple Xehanorts? There was one thing that stood out about the Toy Story level that I tried out. This was the first appearance of one of the 13 Xehanorts, which were first established at the end of Kingdom Hearts 3D: Dream Drop Distance. His plan for the Toy Story world was... interesting. It involved creating an exact duplicate of the Toy Story world, separating hearts and invoking darkness. Honestly, it's a perfect example of how wildly and needlessly complicated the Kingdom Hearts plot can get. So rather than dwell on that, I started to wonder about the 13 Xehanorts as a whole. Will there be one per world? Are a handful of them staying behind at Castle Oblivion? Will more than one inhabit a world at once? And what's their role, aside from being cryptic about Xehanort's ultimate plan? Will they be like Organization XIII in Kingdom Hearts II, in that there will be multiple boss battles against them? 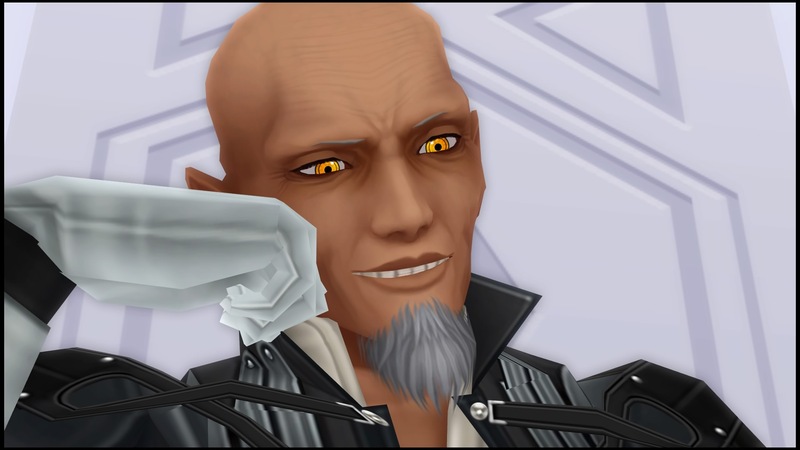 Master Xehanort is the biggest question mark for me in Kingdom Hearts III and it's not just because of the elephant in the room. I'm interested in his acolytes' role in the upcoming game, especially from level to level. 3. How Frequent are the Attraction Flow Abilities? This demo introduced the Attraction Flow abilities that have been teased for the past couple of years. They're crazy, they're flashy, and they're incredibly effective. There was another thing that hit me as I ran through the demo, though. The Attraction Flows showed up a lot. That makes me wonder how frequently these abilities will show up. Were the frequency rates amped up because it was a demo? Was it because the demo was on a lower difficulty? Will Attraction Flows be harder to earn in the final version of the game? The effectiveness of these abilities are what has me asking these questions. As much fun as it is to take a ride on the Mad Tea Party Teacups or the Buzz Lightyear Astro Blasters, some of the fun gets taken out of the game if anyone can just spam it. The game also starts to feel repetitive, so hopefully, the frequency of these attacks goes down in the final version. 4. What's the Status of the Big Hero 6 World? Lastly, I walked away from the latest demo thinking about a world that was teased years ago, but still hasn't been seen in action. Big Hero 6 was first revealed back at the 2015 D23 Expo, albeit in concept art form. In the years since, Square Enix has released several trailers for Kingdom Hearts 3, with several worlds on display. Big Hero 6 has been conspicuously absent. So I'm wondering what the status of this level is, given the radio silence surrounding it. 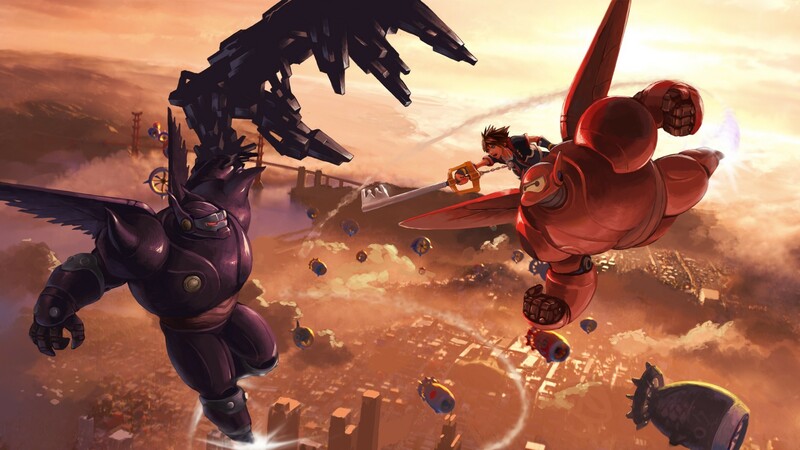 The one clue as to what this world will feature involves Sora riding around on Baymax, which hints at aerial combat. This could tie in to the first question posed earlier, regarding the scale of the game's bosses. It could also point to some entirely new gameplay mechanics not yet revealed. It's possible that players will get a first look at Big Hero 6 in the next month, with Square Enix promising multiple reveals in June. But following last week's demo, I was surprised that another event passed with no mention of this world. It's been three years, so I can only wonder why Square Enix has been so tight-lipped about this stage. There's still no word on when Kingdom Hearts III will release, but Square Enix has promised that the release date would be announced in June. Stay tuned.